The Hedgehog Hollow Sunny Studios Box July 2018 has arrived! For all those rainbow loving beach goers out there, hold onto your hats while we see what’s inside this box! To get your own box head on over to the Hedgehog Hollow website. 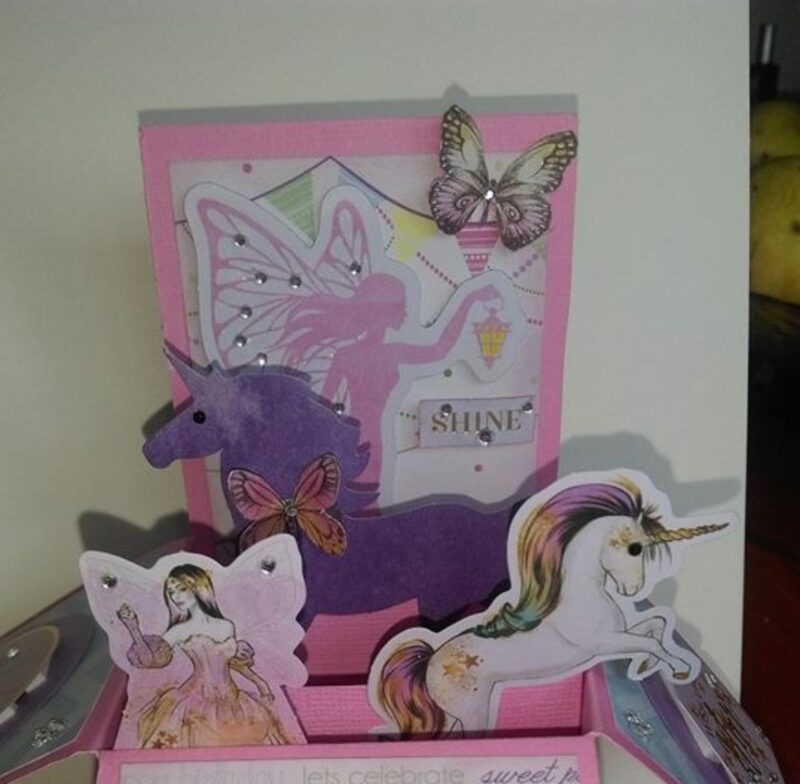 To see my June unboxing click here and a card made with the first four HH boxes click here. In this month’s bumper box we got spoiled with two stamps sets and two die sets. First up we have the darling Coastal Cuties stamps that can be used for pool and beach scenes. Then we have a nice long set of three Ric Rac Border dies. They are 6” or 15cm meaning you can use them on either edge of a standard size card. Then Sunny Studios have given box subscribers a matching stamp and die set. The word rainbow is our die and we then get the Over the Rainbow stamp set to coordinate with the Rainbow Text Die. The stamp set gives many sayings to go along with the die. For e.g. you can stamp You can’t have a, use the diecut Rainbow followed by stamping without a little rain. There was the usual 6 card bases of Neenah Solar White as well as a couple of extra pieces of cardstock to use as mounts or die cut with. The bonus item this month was a bottle of Harvest Moon Tonic Nuvo Glitter Accents. The star of the box was Rainbow Bright Paper stack. There were 12 rainbow pieces with either hearts or stars on the reverse and 12 different colours of gingham with a lined pattern on the reverse.